Kevi, the design classic for more than 50 years, with 4-legged metal frame. KEVI 2060 with a four legged frame in metal is the newest addition to the KEVI family. 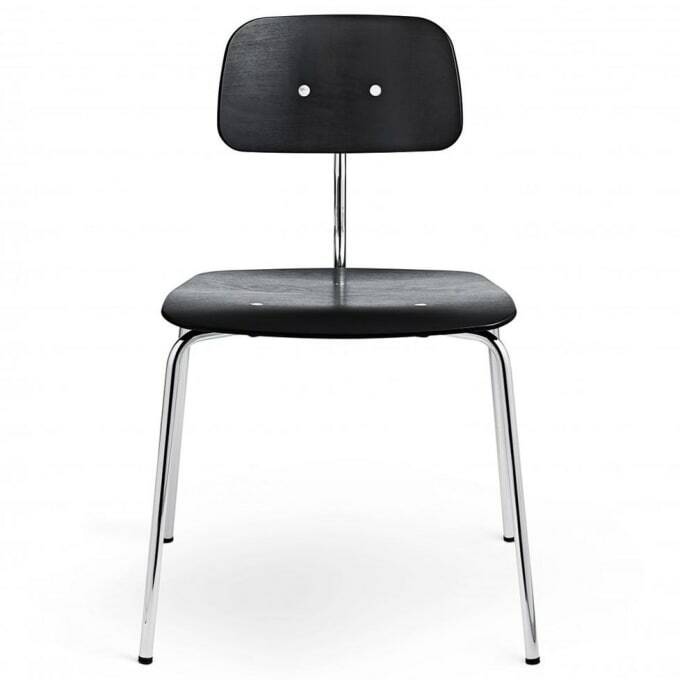 KEVI 2060 has the same seat and back as the KEVI 2533 designed by Jørgen Rasmussen in 1958. The stackable KEVI 2060 in metal is a versatile chair perfect for the home, restaurants and the office. The expression is minimalist and with roots back to 1958 when Jørgen Rasmussen designed KEVI it is considered to be a classic. KEVI 2060 is available with a seat and back in oak, walnut, lacquer (black and white) or a variety of upholstery and leather. Do you have a question about "Kevi 2060"? How can we contact you?